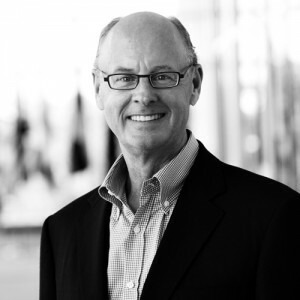 A veteran of both Amazon and NBC, Warren Jenson brings thirty years of experience in finance to his seat at Acxiom. As the company delivers unprecedented data insight to marketing departments across the country, Jenson dives into the information at his disposal to map Acxiom’s road ahead. It’s an uncertain one, as the industry is more competitive than ever, but Jenson is confident that sound financial stewardship is the first step to a successful company. He discusses the characteristics of the modern CFO, what it means to be at the center of the big data universe, and why a strong finance function starts with good people. How does understanding your customer positively affect your abilities as a financial professional? Warren Jenson: There are three foundations of great finance—the first is understanding how you help your customer create value, the second is knowing how your business and industry work, and the third is great reporting and controllership. Understanding your customer is the bedrock of good finance. How has your experience with NBC and Amazon played a part in your role with Acxiom? I think all my experiences really shaped me into the professional I am today. Each place I’ve worked has been very different. At NBC, we were very transactional; it was the era of must-see TV and the formation of MSNBC, CNBC, and several other acquisitions. This set of experiences was invaluable, as it honed my deal skills and the way I think about strategic planning, risk, and acquisitions. While I was working for Amazon, it was always about the customer, and at the same time, trying to navigate a brand new industry: e-commerce. At Acxiom, we are in the middle of a huge transformation, and with the Acxiom Audience Operating System, we are building something that is also pretty revolutionary in the marketing world. The disciplines I learned at both NBC and Amazon are helpful every day I come to work. Was it advantageous to have worked in such a wide range of industries? One hundred percent, yes. The diversity has given me multiple perspectives. You experience different challenges and learn to approach them from different angles. You also learn a lot about leadership and change. What is your chief obligation as CFO? The first obligation as CFO is to your shareholders. Our finance vision at Acxiom is pretty simple. We are partners in building shareholder value through integrity, excellence, and leadership. That is pretty simple—but pretty much sums things up. One of my first mentors, Dennis Dammerman, a former CFO of General Electric, said, “As a finance person, you’re going to make thousands upon thousands of business decisions and many of them will be wrong, but if you make a mistake on the controllership side you’re fired.” That stuck with me. I tell folks that being able to play on the strategy or transactional side of the business only comes after you ensured you have great controllership. As a financial professional you have a complete view of an enterprise. You get a chance to see the entire company and how it operates across the different functions. You also have the opportunity to look backward and forward, so what we try to do is to “get over the horizon.” For us that means using all information—whether past or present—coupled with our industry knowledge to help find and identify new challenges and opportunities. This way you have time to act before you are forced to react. What’s an important lesson you have learned that you would share with other chief financial officers? I learned in my early days at GE that in order to be a great finance professional, you also need to be operational and strategic. The best CFOs are first-rate finance people, great business partners, and leaders. This is something that is tried and true. Do those three things well and you will have a great career. What are some of the changes going on in the marketing industry? In our business at Acxiom, we are moving very quickly. We are right in the middle of a big data universe. With the advent of big data and the capability to analyze it, decisions are being made in a much more educated way. Marketers are now connecting disparate on- and off-line data sets to make their advertising more effective. We are right in the middle of this transformation. That said—our industry is going to be very different ten years from now than it is today. We have to remain on our toes and be nimble enough to go after opportunities when we see them. How do you forecast these opportunities, aside from weighing the benefits and risks? When preparing an assessment, you want to be holistic. You certainly want to know your numbers, but you need to cover all the angles. Lastly, when forecasting, you have to remember that things change, and you have to be open to constant iteration. How do you create an environment that motivates people to work? It starts with hiring good people. You have to make sure you have athletes on your team that are fully capable of being great business leaders and also finance people. Secondly, you need to create an environment where people can thrive and grow. I remember a business leader who said, “My job as a leader is to make my team’s decisions better.” I thought he had it exactly backwards. When I had the opportunity to work with the CEO of GE, Jack Welch, he created an environment that let everyone on the team go out and accomplish things they never could have dreamed about. You need to build a great diverse work environment and then let people thrive and own their work. If you do that, they will do the rest, and a virtuous cycle is created. What does that environment look like?